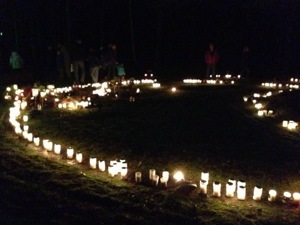 Today we went to the memorial ground and lit candles for our loved ones. We go to the memorial quite regularly but it’s always something special with All Saints Day. 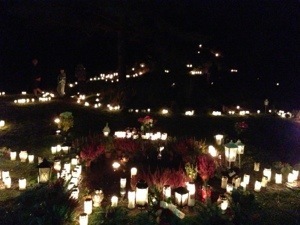 It’s candles as far as you can see both at the graveyard but also at the memorial. This is how beautiful the memorial looked tonight.